Need a Cargo Claims Adjuster in Indiana? Trucking losses are a part of business for many companies, especially those that do their own manufacturing and shipping. Problems can occur with trucking losses for all companies that in the service chain that depend on trucks and trucking companies. Some trucking loss claims can be submitted directly to the insurance companies when an incident happens but others require attention to discovering exactly what went wrong to cause this loss. Sometimes it is the driver’s fault, due to the driver not following policy. In other situations, such as, an accident happens or other unforeseen circumstances occur then there is not much the truck driver can do in that situation. But then there are things that can be controlled, like ensuring that the driver stops in at all weigh stations, locks the vehicle when he isn’t in it and does everything by the book when driving. 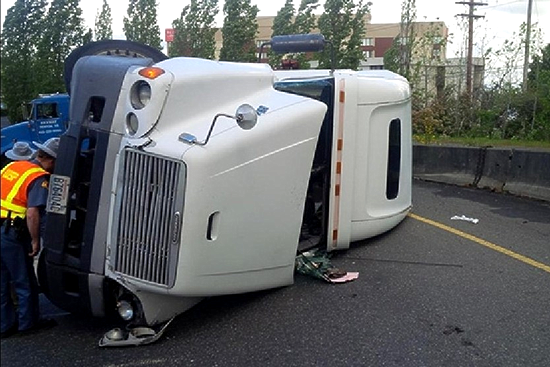 This will prevent trucking losses, but when they do occur, you can be assured that when your truck loss claim is submitted, Churchill Claims is going to be right on the case. Indiana sees a lot of action through the interstate system from trucking companies transporting goods across the country being the Crossroads of America, and as a result many of the trucking loss claims we receive for investigation are located in the heartland of the United States. While there are many interstate roads, there are also dozens of claims filed each month from companies reporting some sort of loss that needs to be investigated, and when that happens the insurance company calls Churchill Claims as we are one of the best claims agencies in the country.